Those of you who love spending time outdoors know the importance of having the right tools with you just in case you get stuck. A decent GPS tracker or compass could be a life saver to have. Spyglass is more than that. It is an augmented reality navigator that brings a host of useful features to your iPad. It has everything you need to track your outdoor trips and find your way back. Spyglass for iOS turns your iPhone or iPad into a gyrocompass, GPS tracker, speedometer, and rangefinder. You could also use this as a speedometer, inclinometer, ad angular calculator. Want to keep up with the position of the sun, moon, and stars? This app has you covered. The augmented reality view is what sets this app apart from others. 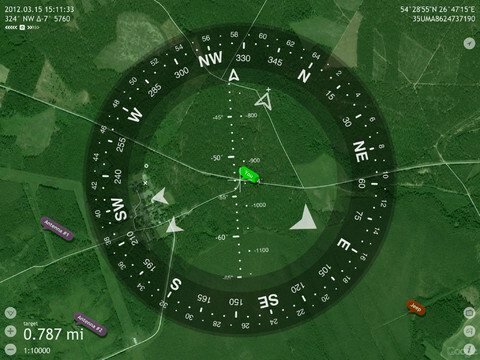 Spyglass lets you find and track your location and coordinates in geo and military formats. It shows you altitude, speed, and other relevant information. 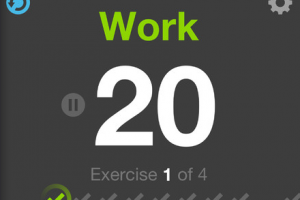 The app also lets you track your favorite locations (e.g. your car’s parking place). The rangefinder feature shows you distances to objects in real time. 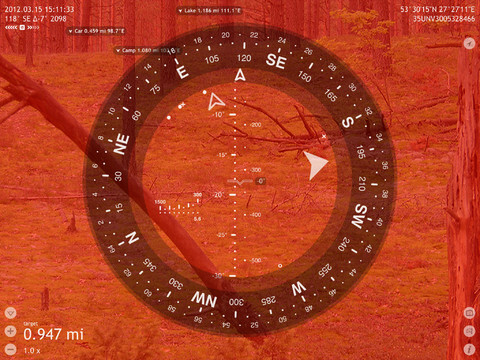 Spyglass for iOS has plenty of tools for you to find your way when you are spending time outdoors. A must have app for those types of adventures.